Information about our range of full-time intensive acting courses – and links to separate pages with more detailed information for each. For details about our popular 1-day to 4-week Intensive Workshops , please go to our Masterclasses page. Are you ready to hone your skills on a intense and challenging, industrially-focussed, full-time programme? 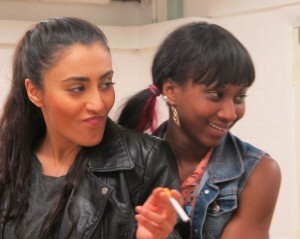 We look for a diverse mix of interesting, creative people who want to develop into professional actors. We offer our successful Intensive Programme for Acting, including Actor-Director/Actor-Professional Instructor routes, to a single cohort each year, at our Centre in the heart of London’s Soho. 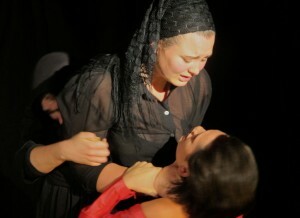 The course is equivalent in level to the post-graduate programmes offered by many of the major Drama Schools in the UK. However it is in many ways even more intensive, and is taught by some of the best acting, movement and voice specialists in the country. – If you have experience as a performer this course could be right for you. At the Giles Foreman Centre for Acting, our acting philosophy developed from that of the original Drama Centre London under Christopher Fettes, Yat Malmgren and Rueven Adiv. It was an institution that produced some of the most exciting actors in the UK today – Colin Firth, Paul Bettany, Anne Marie Duff, Michael Fassbender, Helen McCrory and Tom Hardy to name but a few. Our programme has built on that tradition, to create a challenging and professionally-respected four-term intensive programme. We offer it to only a small number of talented individuals each year. Our Advanced Professional Intensive Programme (PGIP) involves 30+ hours of regular classes and rehearsal exercises/sessions per week. During the fourth term from September to December of Year Two, students continue with regular advanced classes and intensive rehearsals tailored towards a high-profile industry showcase, and a range of further performance opportunities. We take only a single cohort of acting students, and the programme is tailored towards the unique mix of talent drawn to our Studio from across the UK, Europe and beyond. We have excellent links with European Casting Directors and opportunities to showcase talent on a wider scale as well as within the UK. We also offer an ACTOR/DIRECTOR route and an ACTOR/PROFESSIONAL INSTRUCTOR route. At the heart of everything is the acting class. 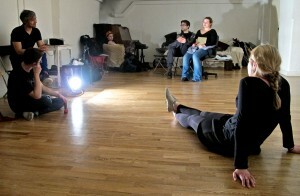 Here participants learn the Methodological technique, influenced by the work of Uta Hagen, Stella Adler and Lee Strasberg. Students explore in depth the Laban/Jungian transformative Character Analysis technique of Yat Malmgren that distinguished the Drama Centre London worldwide as a centre for acting excellence; including oversight from the man who launched the Drama Centre, Christopher Fettes, as well as the leading practitioner Giles Foreman. ACTOR/DIRECTOR route: Directing demands multiple skills and personality traits. It requires intellectual abilities, intuition and access to emotions. A capacity to work with many different types of artists – actors, writers, designers, musicians and production staff. This course is designed to help the student develop an understanding of technical and creative theatre skills, and places particular emphasis on gaining experience of the acting process as part of the acting cohort. From term 2 onwards, Actor/Directors direct scenes; they build their understanding of how to work with actors in rehearsal, and are tutored by Giles Foreman with a focus on all the above. In term 3 they assist him and other directors. 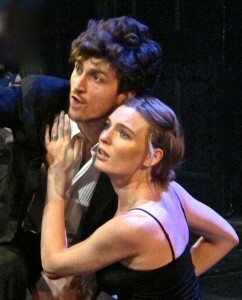 In the final term they are assessed on a play that they direct. ACTOR/PROFESSIONAL INSTRUCTOR route: This is designed for those individuals who might wish to develop as a professional acting coach. It develops an understanding of a range of theories and approaches to the art of acting. From term 2, Actor/Instructors are tutored by Giles Foreman with a focus on all the above. In term 3 they assist him and other coaches in a series of classes and workshops. In the final term they are assessed on a workshop that they design and deliver to an invited student body. We are registered with the Professional Career Development Loan scheme, and also allow termly fee payment or, by agreement, monthly bank transfer. We also offer one half-scholarship each year. For each September entry, auditions are offered between November and late July. All our audition-dates are listed on the front-page Post on the website: NEW! Events, dates, prices coming up. 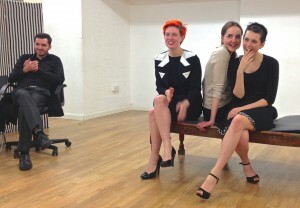 Auditions are held at our Dean Street base, Studio Soho in London. 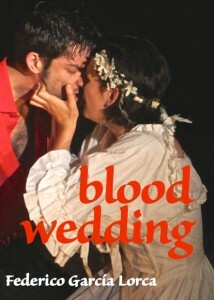 We can also, by arrangement, audition in our Centres in Paris, Zurich and New York. 9 months: Students take part in up to 19 hours of core-classes and preparation each week, with rehearsals, audition-preparation, and ATCL examination coaching. The sessions are based around weekday evening and Saturday attendance, so are designed to allow people to maintain a job or other responsibilities, while taking their acting to the next level. 6 months: Students take part in 25 hours of core-classes and preparation each week. 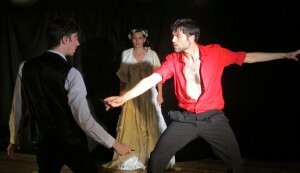 This format provides the same curriculum-content and standards as our very successful 9-month (weekday evening and Saturday study-mode) Foundation (ATCL) Diploma, and is taught in intensive daytime and evening sessions Monday to Friday, over 2 terms from January to the end of June (a final play is presented in mid-July, for which participation is optional). Both routes involve intensively-coached sessions taught by GFCA’s teaching team of leading professional coaches. You will gain insights and many useful life-skills, with practical application to many walks of life. 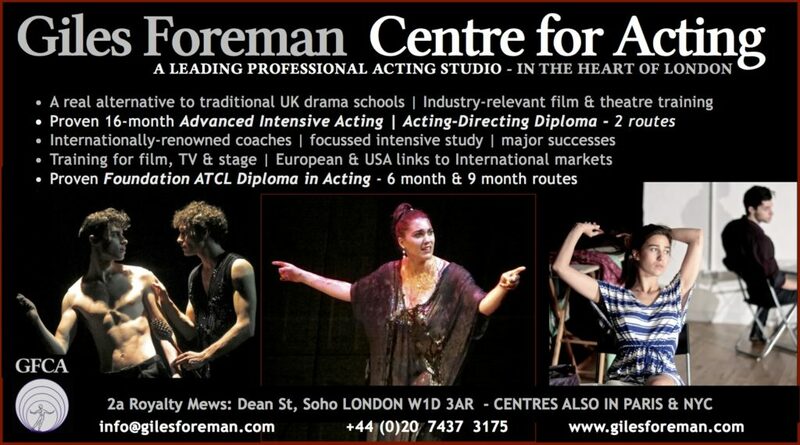 Our successful Foundation Acting (ATCL) Diploma is offered in conjunction with Trinity College London. We are registered with TCL as an examination centre, and the award provides 90 credits at Level 4 of the QCF (Qualifications Credit Framework). To date, the average mark achieved is 74%, with over two-thirds of our students being awarded a Distinction grade. • the option to enter for the ATCL-accredited Diploma in Acting examination, at the end of June (100% examination success-rate for 2017 for the two-term intensive route, with an average mark of 81%). 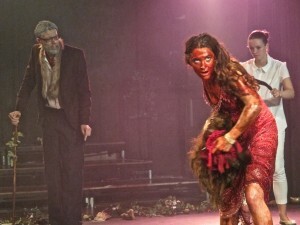 Students are expected to make time for preparation and rehearsals outside of timetabled hours, and are also encouraged to see as much theatre and film as possible. The training is designed either for young people in their gap year who wish to explore the subject in more depth before deciding on performance as a possible career, or for older people seeking a change in direction – anyone who would like to gain a thorough appreciation for what it means to train as an actor. We accept people from age 18, with no upper limit. Everyone has the opportunity to dramatically improve their skills under the guidance of our experts. The training not only prepares students for the Trinity ATCL examination in June but a great deal more! It is ideally suited to those wishing to prepare for application to Drama School or University courses in Acting and similar performance-related subjects (including the 16-month Advanced Diploma offered by GFCA). We offer audition-coaching and support throughout, for those who do wish to continue their education at higher level. It is easily a match in standards, and certainly competitive in price, to a Foundation in Acting at any of the main conservatoire drama schools here in the UK. Entrance is by application and interview; please contact us for further information. Interviews for our Foundation Diploma are held all year round, for September/January start dates. For stays in the UK of less than 6 months, a student (Tier 4) visa is not required. Until the conclusion of the exit and transition-period of the UK from membership of the EU (2020 tbc), there will be no change to our entry status, which remains open to EU citizens – we continue to welcome applicants from across the European Union, and beyond. We do not charge higher FEES for International students. You can apply for a Tier 5 (Youth Mobility Scheme) visa, which will entitle you to stay, study and work for 2 years in the UK – enough time to complete both the Foundation AND Advanced diploma courses, if desired.